With this new generation of tailor-made mouthpieces, Syos brings together passion, innovation and design, offering the opportunity for musicians to express themselves without limits. I have been immediately seduced by the ease of picking up the mouthpiece, its comfort and its precision. A big Bravo to Syos team for your attentiveness and professionalism ! 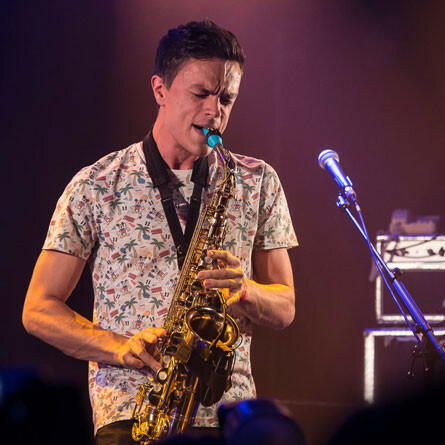 Basile Verschaeve is a young French saxophonist / multi-instrumentalist, composer-performer with various influences. He studied classical music at the conservatory of Versailles under Vincent David's supervision and subsequently studied at the school of contemporary music ATLA in parallel with his university studies in musicology at the Sorbonne in Paris IV. He has surrounded himself with mentors and talented artists to share his different sources of inspiration, such as electro, rock, pop, jazz, hip-hop. 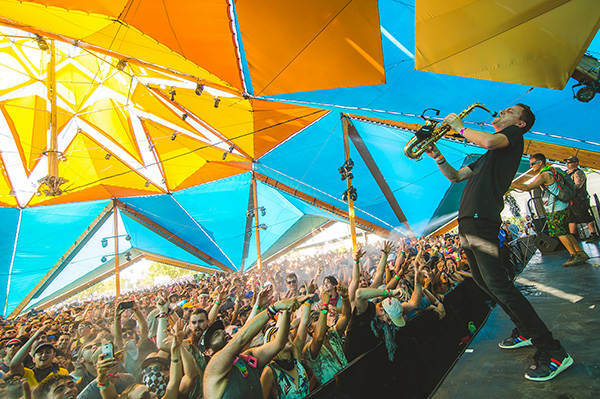 In 2015 Basile Verschaeve joined the band The Geek x VRV, playing saxophone and keyboard, with whom he toured all over the world, and played in most major international festivals such as Coachella, Osheaga, Solidays, Dour, Les Eurockéennes Of Belfort, Delta Festival, The electronic beaches of Lisbon ... He is also solicited as a Guest by great artists such as Gramatik as well as in the biggest nightclubs in Paris.